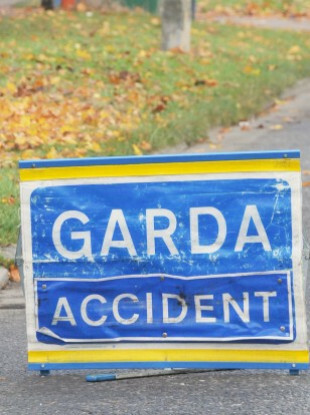 Gardaí in Co Galway are investigating the single-vehicle collision. A 23-YEAR-OLD man has died after the car he was driving crashed into a wall early this morning. Gardaí at Eyrecourt in Co Galway are investigating the single-vehicle collision. It occurred at Shannongrove, Banagher (on the Galway side of the Offaly border) at about 12.05am today. The man was the sole occupant of the car. He was pronounced dead at the scene and his body was taken to Portiuncula Hospital in Ballinasloe. A stretch of road has been closed to facilitate an examination by garda forensic collision investigators. Gardaí have appealed for witnesses to contact Portumna Garda Station on 090 974 1004, the Garda Confidential Telephone Line on 1800 666 111 or any garda station. Email “Man (23) killed after car crashes into wall early this morning ”. Feedback on “Man (23) killed after car crashes into wall early this morning ”.